I tried it, and it's awesome...! Just an additional suggestion: Do you think 4 pointed lens flares should be added on bright objects such as stars or exploding supernova? Disintegration Update? What does that mean? 1)the process of losing cohesion or strength. 2)the process of coming to pieces. 3)a process in which a nucleus or other subatomic particle emits a smaller particle or divides into smaller particles." I think the second definition fits in this case. Oh well. Great job you guys! Any videos/pictures of it out yet? YAY! lmao I've been off so long from this forum. How do I upgrade the game? If you're using steam, look up for Universe Sandbox 2 in your library, click on properties > betas > alpha19preview, and then close the properties tab. It will then update Universe Sandbox 2 to alpha 19. Ah, this is actually incorrect! Sorry for the confusion. If you own Universe Sandbox ² on Steam, it should automatically download the update. You can see which version you're running at the bottom of the Home menu. Since we have now officially released Alpha 19, you should not opt into anything via the Betas tab. We got rid of the alpha19preview opt-in, so it should kick you out into the latest official release if you were running the preview versions. Why is there an experimental build in the BETAS tab? The version says: "Alpha 19a, November 10, 2016" the last time I checked it. The experimental build is not intended for most users, as it just added some potential fixes for users who were having issues starting up. These will be rolled into our next small update, which will include some other bug fixes. Btw, when a bod is being ripped apart by Roche physics, why doesn't it, and the fragments, heat up, like it did in previous preview versions? I just have to say that with Alpha 19.3, everything is running extremely smooth, with fixes for at least one bug I've complained about on the forum. It's getting nicer and nicer. Thanks for this. Not to be a hair in the soup of my own praise (I've already posted a mention with screenshot at some point, so sorry if this is redundant), but I was already capturing this, and it perfectly demonstrates a bug in the gravitational lensing effect of black holes; it does not apply to light from supernovae. Anyway, still very satisfied with the current version; all praise is due to the dev team. I only asked a question. Thanks for the Return of Craters update!! Much appreciated. 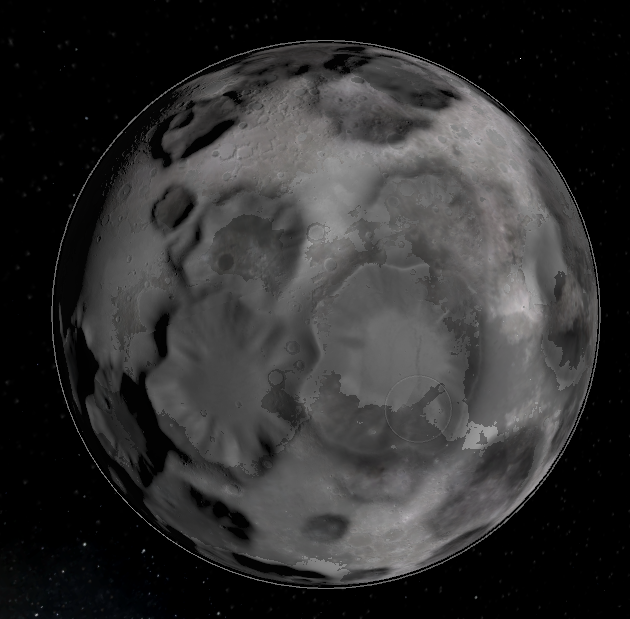 I love the 3d craters, but I think it'd be even more awesome with more variety in crater shapes. Thanks again, love the work you're doing on this. Then the program closes. Is there a way to fix this? I also noticed that the new craters don't feel up with water when a body collides with a planet with water. Even if the object hits a planet with a large ocean, after its cooled down, when you look closely at the crater, you see that the ocean is deformed and not filled with water. You can only customize colors for certain bodies right now, so for example it works if you click Add > Random Rocky Planet. Then right-click on that planet to show its Properties, and in the Basic tab you should see an Appearance section with 3 color options. 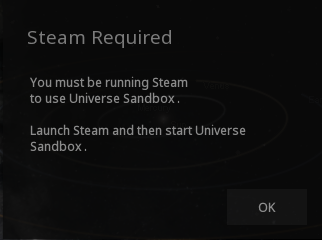 Please also make sure you're running the latest version of Universe Sandbox ². Is there any news about the next update? We released Alpha 19.5 last week, and we think we'll have another small 19.6 release with a few more updated moon textures and maybe a new model or two, like the Voyager. Most of the team, though, is now focusing on Alpha 20. We don't have a release timeframe for this yet.